Last week, I started the first portion of an internship that serves as the capstone of my nutrition degree: my clinical rotation at a local hospital. Thus far, it’s been an eye-opening experience getting my feet wet with performing patient assessments and education, as well as navigating the labyrinth that is charting on electronic medical records. So, since I’ve got my Nutrition Professional hat on–and I even have a lab coat!–I thought I would dive in with another installation in my Things You Didn’t Know Nutrition series. (Can I call it a series? It’s been almost 18 months since the last one…..so a series at a snail’s pace.) This time we’re focusing on…….. Better known as “that stuff that makes you poop”! But if that’s all you think fiber is good for, I have news for you. There’s a lot more to fiber than that! Here are 10 things you might not know about this important component in our food, and why we could do well to get more of it. 1. Fiber is what your body can’t digest. Yep. 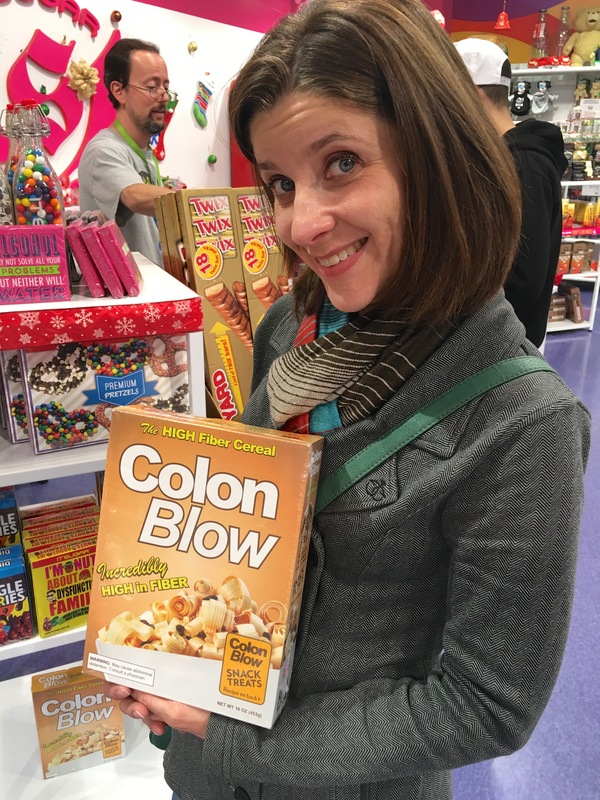 Your body cannot break down fiber, so it traverses your entire GI tract to exit through the gift shop. 2. Fiber is always plant-derived. 3. So how do some non-plant-based foods contain fiber? You may have seen some small amount of fiber listed in the Nutrition Facts of primarily animal-derived foods (or other food items you wouldn’t expect to contain a lot of fiber). This is probably due to what’s known as “functional fiber”: when plant-derived fiber is added to fortify non-fiber-rich foods. What’s the difference between soluble and insoluble fiber? It’s pretty simple: soluble fiber dissolves in water, while insoluble fiber does not. This creates distinctions between the mechanism of action each type takes in your digestive system. 5. Why do whole grains contain more fiber than refined grains? The bran, or outer shell, of a wheat kernel is the part that contains the majority of the plant’s fiber. When wheat is processed to obtain refined (what we know as “white”) flour, its bran is removed. This is why whole grains contain more fiber, while refined grains contain less. Current dietary recommendations for adult fiber intake are 38 grams/day for men and 25 grams/day for women. (Don’t ask me why the giant gap between the two.) The average American only gets about 15 grams/day, however–definitely not enough! Fiber adds bulk to your stool, causing increased pressure as it “comes down the pipes,” shall we say. Numerous studies have shown that a diet high in fiber has protective effects against certain types of cancer, especially colon cancer. One study showed that people who got 35 grams/day reduced their risk of colon cancer by 40%. One theory behind this is that fiber helps quickly bind to and remove potential carcinogens from the body. Fiber has also been shown to lower the risk of heart disease, probably because (similar to the cancer theory) it binds to and removes cholesterol from the gut. Other research reveals that increasing fiber can reduce the risk of stroke, diabetes, and high blood pressure. The good bacteria you want to inhabit your gut feed on dietary fiber. As research has shown, we want to keep these little guys happy! (Check out my post on probiotics for more in-depth info on this topic.) In an absence of fiber to feed on, it’s believed that bacteria may begin to break down the protective mucosa of the stomach, causing inflammation. So where do I find fiber?